Sussex were frustrated by the rain as they were knocked out of the Royal London One-Day Cup. 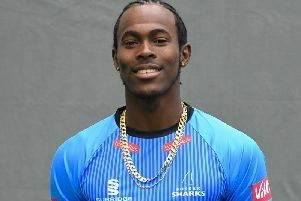 The Sharks needed a win from the final round of fixtures but a full day of precipitation ended their hopes of progression. Hampshire also had their exit from the List A competition confirmed as the clash was abandoned without a ball bowled. Constant rain all day put any plans of play to bed with umpires Graham Lloyd and Michael Burns finally calling the match off at 4:50pm. Hampshire required a win, hope Gloucestershire beat Surrey and a large swing in net run rate to progress to the quarter finals. But after the game in Bristol was abandoned their hopes of qualifying were destroyed.